A doctorate degree in criminal justice is an opportunity for you to reach at the highest level of profession and leave a meaningful impression on your students. The degree is aimed for individuals who want to expand their understanding of criminal behavior and find promising solutions. Important areas covered in the doctorate program include prevention of crime, intervention, effective results, and public policy development. Graduates of this degree can acquire high level positions in academia, research, consulting firms, and public policy groups. The curriculum of the degree is normally divided into three categories, which include core courses, electives, and research. Core courses cover topics on criminology theory, justice policy, and quantitative and qualitative empirical methods. Students can select elective courses and concentrations related to criminology or criminal justice. They also go through research, faculty supervised readings, and dissertation preparation. Contemporary Criminal Justice Theory: based on theories and issues in criminal justice and criminology. Criminal Justice Organizations and Processes: covers theoretical perspectives on organizations and processes in criminal justice, along with evaluation of organizational performance in justice agencies. Quantitative Methods in Criminal Justice Research: trains students in the application of quantitative techniques on criminal justice data. Multiple regression and SPSS are also a part of the course. Advanced Criminal Justice Data Analysis: covers advanced quantitative analysis techniques that can be used to analyze criminal justice data. Advanced Research Methods: includes methodological approaches for carrying out sound and ethical research on criminology and criminal justice. Emphasis is given to research ethics, study design, and data collection methods. A PhD in criminal justice aims to provide students with a command of criminal justice policy, research methods and criminological theory as well as a chance to specialize within the discipline. A master’s degree from an accredited institute. Degree may be in criminal justice, criminology, or other fields such as sociology, political science, social work, public administration, psychology, or philosophy. Outstanding students with an accredited bachelor’s degree may acquire admission directly into the PhD program. Graduate Record Examination (GRE) score. Letters of recommendation from faculty members and others who are qualified to assess the student’s potential for graduate study. Personal statement to describe the applicant’s education, experience, and career goals. A writing sample: an article, research paper, or a sample of expository writing skill. Accredited universities are known for providing the highest level of quality education. They regularly undergo inspections and reviews to ensure that education standards are maintained. If you want to find a detailed list of accrediting organizations recognized in the US, you will need to visit the official websites of Department of Education and Council for Higher Education Accreditation. It is possible for you to acquire a high standard criminal justice education online. Accredited online programs offer dynamic e-learning features that enable students to enjoy rich real time interaction. Students and Faculty Emails: to directly contact university professors and classmates. Video Lectures: portable video lectures that can be downloaded on smart phones and other video enabled devices. Online Exams and Practice Exercises: to avoid the hassle of travelling to a campus for taking exams. All the above features of online programs allow you to acquire cost efficient education in a flexible and convenient manner. You can learn at your own pace, follow your preferred study schedule, and also save costs on travelling, textbooks, and accommodation. A PhD degree in criminal justice allows graduates to select a career from a wide variety of fields. The different criminal justice fields vary in terms of skills, tasks, responsibilities, and compensation. What is the highest degree in criminal justice? Q:How long are the Criminal Justice Doctorate Programs? A:The Criminal Justice Doctorate Program is usually of over 3 to 4 years. Q:Where can students work with the Criminal Justice Doctoral degree? A:The Criminal Justice Doctoral degrees enable aspiring professionals to work at administrative, supervisory and managerial positions in a variety of areas depending on their specialization. After graduation, students can consider working in investigation firms, police departments, government agenices, and corrections. Q:What kind of a career do criminal justice doctoral programs entail me to? A:As criminal justice doctoral programs are the highest level of education you can get in the field of criminal justice, they can lead to highly lucrative careers in the field. You can work with government agencies such as the Federal Bureau of Investigation and the Central Intelligence Agency. Depending on your specialization, you can also find work in other sectors of criminal justice like the legal system and the Department of Defense. Q:What is the path to a Doctor of Criminal Justice degree? A:The very first step in a criminal justice education is to complete a basic, entry-level degree like a certification or diploma. These courses will take you around six months to complete and can be followed by a two year associate's degree. After the completion of an associate's degree, you can go for a 3-4 bachelor's degree followed by a 1-2 year master's degree before you are eligible for a doctor of criminal justice degree. Q:Can you guide me in Doctorate in Criminal Justice curriculum? A:Doctorate in Criminal Justice curriculum is very extensive and detailed since it is the highest degree in Criminal Justice. The course work you will get to study includes topics such as quantitative research methods, professional development seminar, critical issues in law enforcement, critical issues in juvenile justice and dissertation research. Q:I’m already employed and traditional campus based education is out of the question with my schedule. Can I pursue an online doctorate for criminal justice? A:Yes. If you are already working, then online doctorate for criminal justice is the best option for you. These programs are accredited and are as comprehensive as the normal ones. Students get an opportunity to study at their own convenience without having to worry about deadlines. In comparison these programs are inexpensive as students save money on travel and accommodation. Students interested in this program are requested to search our website for more information. Q:What is a Doctorate in Criminal Justice? A:In answer to your question what is a Doctorate in Criminal Justice, it is the highest level degree in Criminal Justice. In this program the individuals come across in depth knowledge of all aspects of the field. You get to study advances courses of philosophy of law, justice, and social control, race and ethnicity in crime and criminal justice and advanced criminological theory. Q:Can you please tell me what are the contents of the course on Criminal Investigation in the Doctor of Criminal Justice programs? A:The Doctor of Criminal Justice programs in United States offer a dedicated course on Criminal Investigation. This course is worth 4 credits in total and highlights primarily on the examination of the most basic principles as well as procedures that are applied in a crime investigation scene. Students also get to learn the methods to handle evidence in apt manner. Q:What is taught in the Business Law course of the Doctoral in Criminal Justice programs? A:The Business Law course of the Doctoral in Criminal Justice programs is one of the integral courses of the p[program. This course is worth 4 credits in total and stresses on the examination of the environment and system of legal setup in the United States. You also get to understand the agreements and the contracts. Q:What are criminal justice PhD prospects? A:Criminal Justice Phd job market is quite good. The degree itself is the highest level of education an individual can gain in criminal justice administration. Students completing the mentioned degree qualify to become developers and researchers in the field, which are one of the highest paid positions within the United States. Students can also get hired in various law making agencies or work at senior posts in criminal justice organizations. Q:What are the contents of the course on Law Office Management in the Doctorate Criminal Justice online? A:The Doctorate Criminal Justice online degrees have dedicated course on Law Office Management. This course is of around 3 credits in total. It is structured to offer students contemporary understanding of the legal industry as well as a legal team. Students are also highlighted on the billing and administration structure and how to manage legal technology. Q:What are my job prospects with a PhD in criminal law? A:Job prospects for professionals with a PhD in criminal law are favorable. According to the Bureau of Labor and Statistics, this sector is going to see an increase of more than 12% till the year 2018. Professionals in this industry can find themselves employed in both government and private sectors. A specialization in a subfield is very lucrative as there is a huge demand for professionals in health care and administration sectors. Q:How will the phd in criminal justice help my career? A:The Phd In Criminal Justice is one of the highest level of education in the field. Most commonly, working professionals get enrolled in the program to gain further knowledge and expertise in the area of specialization. The PhD degree helps them become experts in their field such that they can work as researchers and academicians. Q:As I was reading about the Criminal Justice Doctoral Programs, there was mention of the course on Principles of Management. What are the contents of this course? A:It is common to get to get to read about the course on Principles of Management while going through the Criminal Justice Doctoral Programs. This course usually is worth 2 credits in total. It is designed to provide students with ample understanding of the practices as well as principles of management. Students are also given hands on experience. Q:Is forensic psychology also part of the criminal justice doctoral degree programs? A:Since a criminal justice doctoral degree program is an extensive one, forensic psychology can also be an important part of the course work. It studies how to assess and evaluate the offender by standard expert procedures. It covers the relation of psychology with criminal behavior and helps understand criminal behavior from a different dimension. Q:What is the academic structure and duration of a Doctorate in criminal justice degree? A:A doctoral of criminal justice degree, officially takes about 4 years to complete but duration time is very much up to the student's personal efforts as well. Mostly students spend the first 2 years in completing relevant coursework of criminal law. Students are also encouraged to practice teaching and contribute generously in related journals and conferences. The doctoral of criminal justice ends with a thesis and an original research report. Q:What is the duration of criminal justice Phd. programs? A:For a student pursuing his doctoral of criminal justice on-campus it will take about four years to complete, but now a days earning any degree online has become increasingly popular due to the flexibility it offers to the student. Therefore, online Phd depends of the pace of the student; he may be able to complete it earlier than 4 years or later. Q:Tell me about doctorate degree in criminal justice? A:A doctoral degree in criminal justice takes four years to complete on average. The rate of completion is left up to the efforts of the individual. 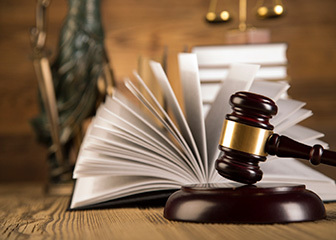 Students generally devote their first two years in the doctoral of criminal justice to completing coursework relevant to the field of criminal law. Students also develop teaching experience and work on publications for journals and conferences. The doctoral of criminal justice generally culminates in a thesis involving the development of an original research piece. Q:What are the benefits of online doctoral programs in criminal justice? A:Online education is one of the most convenient options in education right now. If you are interested in pursuing your Doctoral in criminal justice, this means you are probably a busy professional who is neck deep in building their career. In this situation, online education is your best option, since you can pursue your education at any level by simply staying on the job and studying at your own space and time. All courses are available online through video uploading and conference classroom settings. Q:I need to know about PhD in criminal justice online programs and its admission criteria? A:Doctorate of criminal justice will get you further up on the ladder of original research in the exciting field of criminal law. This degree will allow students to get involved in research precedents in the awarding of criminal cases. To get into this program you need to have a strong academic background and a graduate degree in the same field. A strong grasp on writing and reasoning can prove to be an asset in the doctoral of criminal justice program. Q:What is the highest degree in criminal justice? A:The highest degree in criminal justice would be the doctoral of criminal justice. This degree is an in depth study of a specific area of criminal justice. It involves a lot of research work and at the end of the program one has to submit a thesis. Generally, it is a four year degree course, but the time can vary. Q:Is a doctorate degree the highest degree in criminal justice? or is a master's degree the highest qualification? A:A doctorate degree is the highest degree one can earn in the field of criminal justice. This program takes around 5 to 7 years to complete and is research oriented. To be eligible for this level of program, one must first earn a graduate degree in a relevant field. A doctorate degree can lead to executive level job positions in law enforcement agencies. Q:What are the subjects studied for PHD in criminal justice programs? A:PHD in criminal justice programs is an advanced degree with a specialized focus in an area of criminology or law. It includes a lot of research work. The subjects depend on the area of specialization. Typically, it deals with criminal behavior, criminal law, correctional methods, theories of criminology and criminal psychology. Q:Can you tell me about PHD programs in criminal justice? A:PHD programs in criminal justice are quite comprehensive, since they require deep study and research work of a specific area. The specialization area can be forensic science, criminology, chemistry or psychology. The course depends on the area of specialization that you choose. To get admission for a PHD program you need to have a background in a related subject and a graduate qualification.